Once you have captured some packets or you have opened a previously saved capture file, you can view the packets that are displayed in the packet list pane by simply clicking on a packet in the packet list pane, which will bring up the selected packet in the tree view and byte view panes. You can then expand any part of the tree to view detailed information about each protocol in each packet. Clicking on an item in the tree will highlight the corresponding bytes in the byte view. 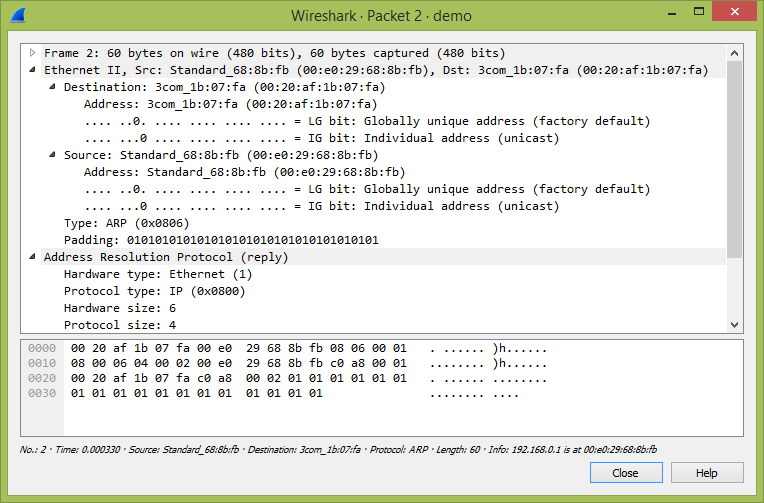 An example with a TCP packet selected is shown in Figure 6.1, “Wireshark with a TCP packet selected for viewing”. It also has the Acknowledgment number in the TCP header selected, which shows up in the byte view as the selected bytes. 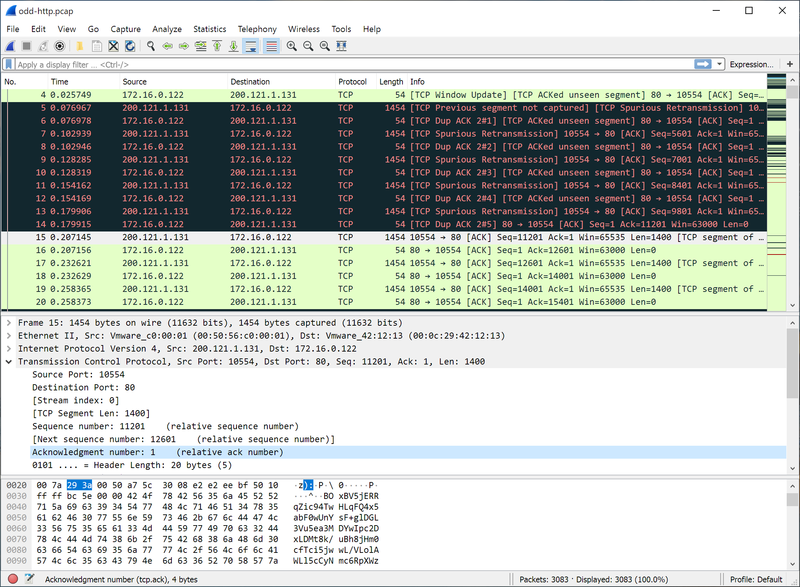 You can also select and view packets the same way while Wireshark is capturing if you selected “Update list of packets in real time” in the “Capture Preferences” dialog box. In addition you can view individual packets in a separate window as shown in Figure 6.2, “Viewing a packet in a separate window”. You can do this by double-clicking on an item in the packet list or by selecting the packet in which you are interested in the packet list pane and selecting View → Show Packet in New Window. This allows you to easily compare two or more packets, even across multiple files. Hold down the shift key and double-click on a frame link in the packet details. From Table 6.2, “The menu items of the “Packet List” pop-up menu”. From Table 6.3, “The menu items of the “Packet Details” pop-up menu”.